Dream Pod 9: Spotted on Phil's Desk - Lynx Master Parts! Phil has been busy working on the Northern Lynx infantry support Gear. The Lynx is a special Gear it has a normal walker mode, but for its ground mode it transforms into a Bike. 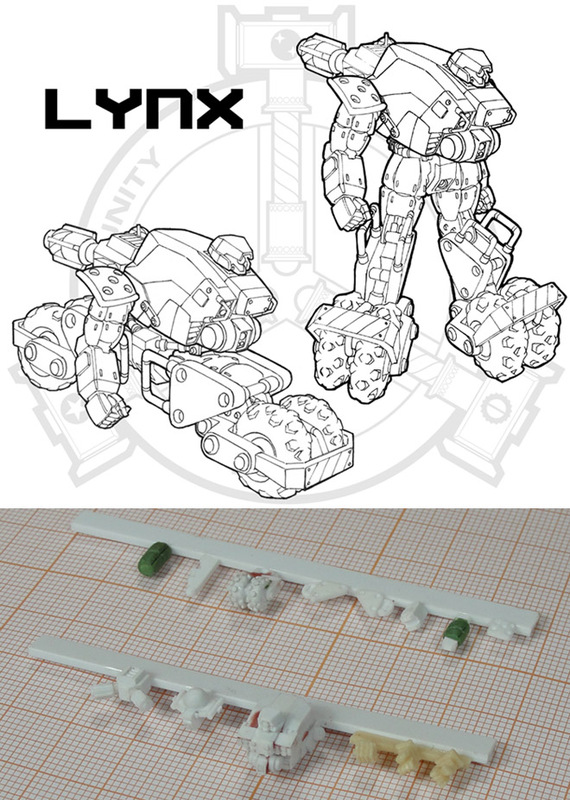 Below is an image with line art of the Lynx in both modes plus the small styrene and resin master parts that Phil has finished up so far. 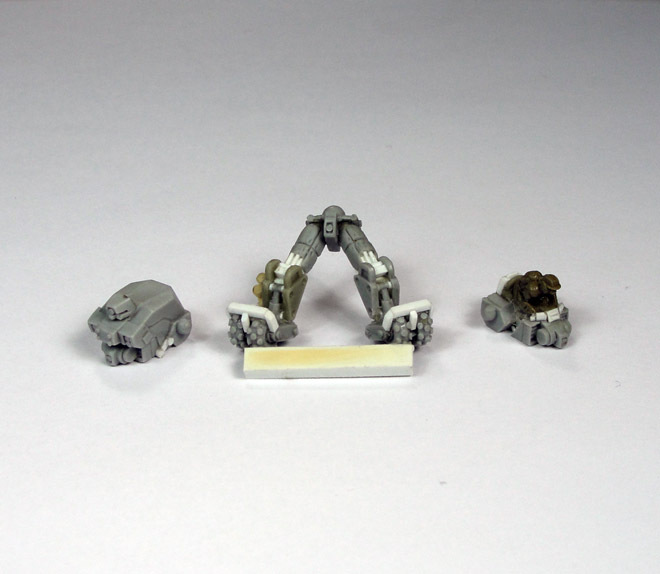 Home › Blogs › Robert Dubois's blog › Spotted on Phil's Desk - Lynx Master Parts!